There is no risk to human health from third hand exposure to houses where methamphetamine has been consumed. That is the conclusion of a report released last week by the Government's chief scientific advisor, Professor Sir Peter Gluckman. In speaking to the report he said, "There is absolutely no evidence in the medical literature of anyone being harmed from passive use, at any level. We can't find one case…Mould is more dangerous than meth." It is hardly surprising that the Australian National University’s National Tertiary Education Union branch president, Matthew King, has attacked the university’s decision to establish a Ramsay Centre for Western Civilisation. According to King, as cited in the Campus Morning Mail yesterday, the centre is guilty of promoting “a narrow, radically con­servative program” promulgating the “alleged superiority of Western culture and civilisation”. GWPF Newsletter: Is Global Warming Hysteria Rotting The Brains of Politicians? 1) Christopher Booker: Is The Political Class’s Obsession With Global Warming Rotting Their Brains? Recently, the world was sadly compelled to commemorate the 200th anniversary of the birth of Karl Marx. He was indeed, a major figure in shaping history, but definitely not for the good. Marx, along with his patron, Friedrich Engels, created the political-economic philosophy (perhaps a religion) commonly called Communism. Its essential tenet is that what we commonly call ‘capitalism’, which is based on the free exchange of goods, services, labour, ideas, money, and other things, is inherently evil and doomed to a brutal, violent, and ignominious extinction. 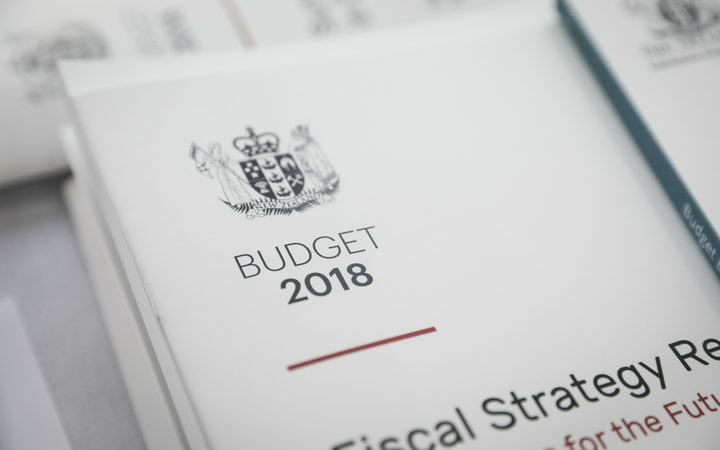 This week we examine the Budget and outline some of the risks around the direction that Labour is taking the country, our NZCPR Guest Commentator Frank Newman provides a comprehensive analysis of the Budget, and our poll asks whether you support or oppose the coalition’s first Budget. What a mess the British government is now in over immigration — a mess that the arrival of the new Home Secretary, Sajid Javid, is unlikely to clear up. Consider. Amber Rudd resigned as Home Secretary through misleading Parliament over whether or not the government had “uncompassionate” targets for removing illegal immigrants. This followed the revelation that the government had treated appallingly Caribbean “Windrush” immigrants who arrived in the sixties but who were threatened with deportation decades later. Auckland’s transport system, particularly the proposed light rail project, will generate considerable debate over the next few years. The objective of this column is to assess the potential financing of the light rail plan rather than assessing the merits of the development. Will it be funded by rates increases? 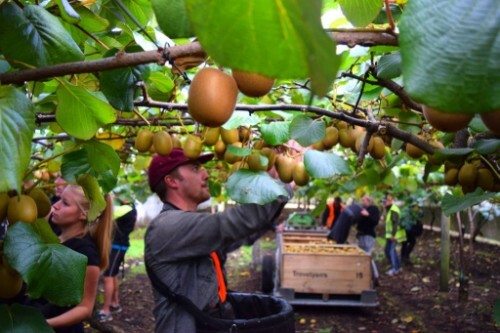 What role will the New Zealand Superannuation Fund play? What contribution will central government make? Douglas Murray argues in The Strange Death of Europe that ­“Europe is committing suicide”, as proven by the mass immigration of thousands of young Islamic men and the failure by many ­within academia, the media and politics to acknowledge and ­defend the unique strengths and benefits of Western civilisation on which Europe is based. 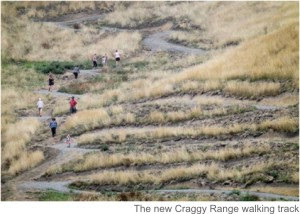 This week we highlight some the power plays being used by the iwi elite to gain influence, our NZCPR Guest Commentator Karl du Fresne outlines the wider implications of the Craggy Range debacle, and our poll asks what you believe the Craggy Range winery should do about their walking track – capitulate to iwi, or stand their ground and do nothing. A few days ago, Western Bay District Mayor Garry Webber shared his views about why Western Bay should have a Maori ward. ......The Mayor correctly notes that the law enables ratepayers to demand a poll when a Maori ward is proposed, but not when geographical wards are created or modified. The World Health Organization is a huge waste of taxpayer dollars with incredibly skewed priorities. The World Health Organization is a large and antiquated United Nations body that is expensive unnecessary and counterproductive to its own cause of "public health." It's time to take the appropriate measures and defund it. As the Ebola crisis was ravaging a number of African countries in 2014, we put our trust into a number of international organizations to assist West African countries such as Liberia, Sierra Leone, Guinea or Nigeria to contain the spread of the virus and aid those who were unable to receive medical care. The World Health Organization (WHO), with its ambitious goal regarding public health, was one of them. Does spiritualism, religiosity and racism have a place? First a little about my background and credentials. After immigrating from America, I had service with the NZ Symphony Orchestra for 40 years and as Artist Teacher at Victoria University for 26 years 1990—2016. Education spending and teacher pay have become big issues in certain states. 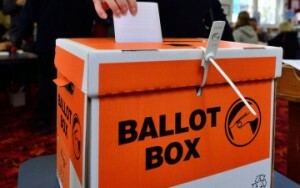 This week we outline how changes to the welfare system introduced by previous Labour Governments created intergenerational benefit dependency and we urge caution over planned reforms, our NZCPR Guest Commentator Lindsay Mitchell describes some of the policy changes signalled by Labour and the Greens, and our poll asks whether you believe that under Labour the downward trend in the number of children growing up in families dependent on welfare will continue, or be reversed. On first inspection, Seattle is and ought to be the envy of the rest of the United States. In 2017, its population stood at about 713,000 people and was growing at 3.1 percent per year, the fastest growth rate of any U.S. city. Its economic revival has been driven by an influx of new software, technology, and internet companies. Among the major corporations headquartered there are Amazon, Starbucks, Nordstrom, and Weyerhaeuser. But all is not well in Seattle, which is now riven by deep political divisions over what to do about the problem of homelessness. Right now, about 8,000 people within the city limits are homeless, and the city saw 169 homeless deaths in 2017. Anyone who says electric cars will save the world is dreaming. The adoption of electric cars over the next 20 years will barely shave a single percent from the world’s greenhouse gas emissions. Meanwhile, the batteries that power these cars rely on a nightmarish swath of human devastation. Most electric car buyers who pride themselves on “doing the right thing” have no idea of the birth defects, premature deaths, child labour, and virtual slavery it took to make their new wheels move. All this is to keep carbon out of the air and a few hundred ducks out of oil sands tailing ponds. Electric batteries have far more to do with cobalt than carbon. Cobalt is an essential element in lithium-ion batteries, the lighter kind that packs more energy than lead-acid batteries. It is true that these “green” batteries are also found in tech devices and not just cars. But the 10 grams of cobalt for a smartphone battery or the ounce in a laptop are overwhelmingly outweighed by the 15 pounds of cobalt found in a typical electric car battery. Concern over income inequality did not disappear. A year later, Pope Francis called for a “legitimate redistribution of economic benefits by the state,” while leftwing economist Thomas Piketty tried to supply the movement for greater income equality with intellectual ammunition in his book, Capital in the Twenty-First Century. Viv Forbes: Weather, Climate, Carbon Dioxide and Global Warming. There are three big drivers of weather for any place on Earth – the latitude, the local environment and solar system cycles. The biggest weather factor is latitude – are you in the torrid, temperate or frigid zone? These climatic zones are defined by the intensity of heat delivered to Earth’s surface by the sun. In the Torrid Zone the sun is always high in the sky. It is generally hot, often moist, with low atmospheric pressure, muggy conditions and abundant rain and storms, some severe. Places close to the Equator get two summers per year (really just one long summer) and very little winter. Further from the equator there are two seasons - “The Wet” and “The Dry”. The Torrid Zone produces many equatorial rain forests but also contains some deserts. Most people dream of vacations or retirement in the warm zone. The global warming debate can at its most feverish state reach dizzy depths. Hot air and defensive name calling of sceptics as deniers is destructive of sensible discussion. The climate has always fluctuated, changed and indulged in cyclic fashion. The climate has always had its periods of warming and has done so for millions of years. Where I live in Marlborough if you chance to travel along state highway 63 to the West Coast, the road will follow the valley towards St Arnaud and Lake Rotoiti. Towards an hour’s drive, the highway comes to its first significant rise. That low hill is the old moraine from a glacier that several million years ago, a glacier groaned, ground and grated down the Wairau valley pushing rubble ahead of it to about the Wairau River’s confluence with its tributaries the Branch and Goulter Rivers. The moraine from the glaciers is evident in the low mound-like hills on both the Wairau River’s east and west banks. It is so logical that as the ice age waned, the glacier retreated and the climate warmed. Last month saw the US, UK and France reacting to the use of chemical weapons in Syria. In her defence of her decision to launch a strike against Syria, British PM Theresa May stressed that the objective of the joint military action was to send a clear warning that the ‘normalisation’ of the use of chemical weapons would not be tolerated. I am not going to get into the ‘whodunit’ debate. I have argued earlier in these annals (“Syria chemical weapons attacks – we still don’t know who is responsible”, Breaking Views 31 August 2013 - see HERE) that the evidence linking that particular Sarin attack to the Assad government was scanty, and my position on the incident that prompted the Western strike will depend on the outcome of the OPCW investigation. But there is no denying that chemical weapons have been used in the Syrian conflict – repeatedly. Daniel Mitchell: Why Is the EU Celebrating Karl Marx's Birthday? Celebrating the 200th birthday of Karl Marx is a slap in the face of millions of people killed by communism. The evil ideology known as communism left a track record of unimaginable horror. Experts estimate that 100 million people were killed by Marxist regimes. Some were murdered. Other starved to death because of the pervasive economic failure of communism. Yet there are dupes and apologists who overlook all this death and misery. One of them is Jean-Claude Juncker, the President of the European Commission. A few days from now, this über-bureaucrat will help celebrate the 200th birthday of Karl Marx. This week we look into the nature of change and expose some of the agendas that are undermining our freedom and liberty, our NZCPR Guest Commentator Brian Giesbrecht examines the impact of the #MeToo movement, and our poll asks whether you believe that the position of Race Relations Commissioner should be disestablished.